If I use the word fluffing when I'm talking about home staging, I'm talking about pillows, those soft and beckoning props every staged home needs. 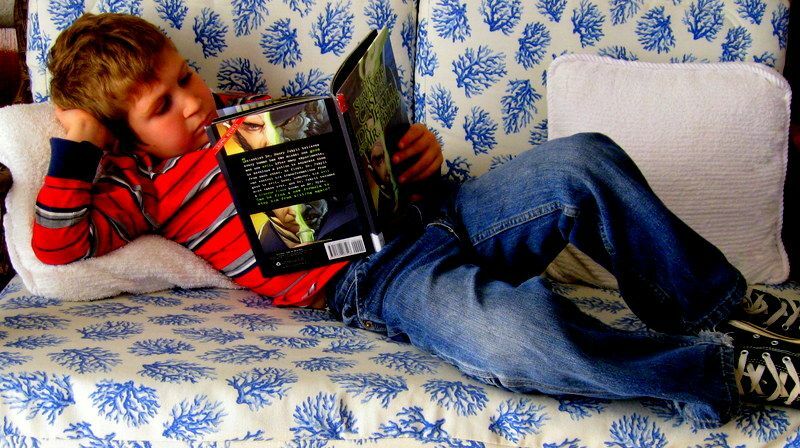 Most of us have a running love affair with pillows. It's no mystery why. They're fun. And oh, so handy. Pillows add a touch of luxury, color, and texture to any room. Perfect for home staging! On beds, benches, chairs or couches, they help coordinate a room that might, just might, have been put together on a budget from assorted furniture finds. But, have you looked at what one can spend on even run-of-the-mill department store pillows? Twenty-five dollars buys you a ho-hum one, and the ones you really want cost over a hundred. Dollars! Take note, all no-sew fans: A pillow can be as simple as two fabric squares glued around the edges. 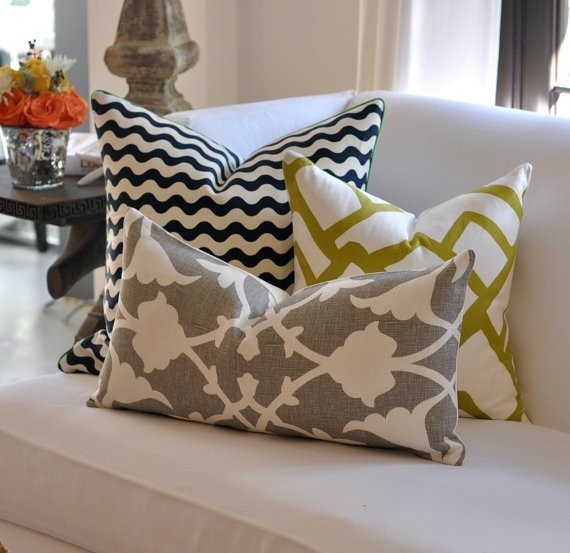 The ideal staging pillows will help create the comfortable look any buyer responds to. Pillows do that by coordinating or matching the other colors in the room, not by providing a "pop of color" that detracts from the room itself. Pillows for staging should be large. No smaller than 16 x 16 inches is best. Lumbar pillows, decorative bolster pillows, or vintage ones like a needlepoint from another era can be smaller. 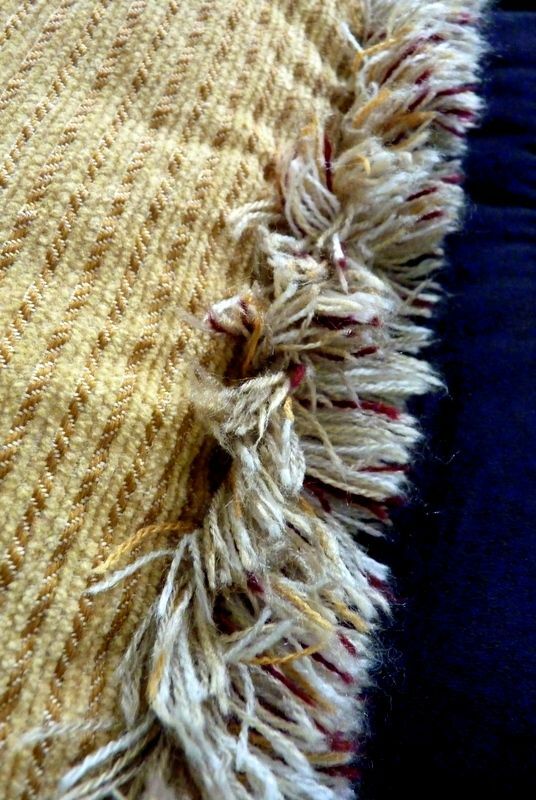 A fuzzy fringe like this is easy to glue on a pillow. What will make your pillows special is what's known as dressmaker details, those trims that add the look of quality and...well, money. The difference between a plain pillow and one that has piping around the edge is striking. Sewing piping and other trims like tassels, braiding, rick rack, fringes, and ruffles into the seam of your pillows can be taxing because you'll be sewing through multiple thicknesses. I have a secret formula for adding trims. 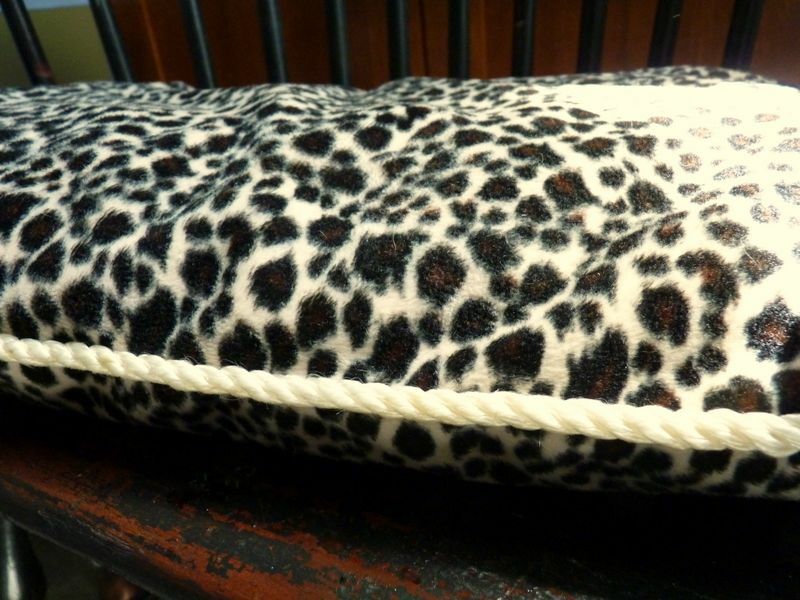 I just hand stitch or glue them on after the pillow is assembled and stuffed. I've used rope, cording, braid, felt fringe, and ribbon. Remember that white school glues like Elmer's are water soluble, and hot glue will melt in the dryer. I have not had much success with washing and drying so-called washable fabric glues. But are you likely to wash these pillow covers? These are pillows for staging, not heirloom projects. and stitched on the rope trim after I stuffed them. You can fill your pillows with polyester batting (Fiberloft), available at Walmart for about $4. Or you could open up one of your sleeping pillows that has lost its umph, fluff up the batting, and stuff your new pillows. decorator touch on a simple, DIY pillow. I have even used paper that I put through our shredder to stuff pillows. Don't laugh. It's free and it works. These pillows are just props, not designed to become heirlooms, but they will still last for a few years! 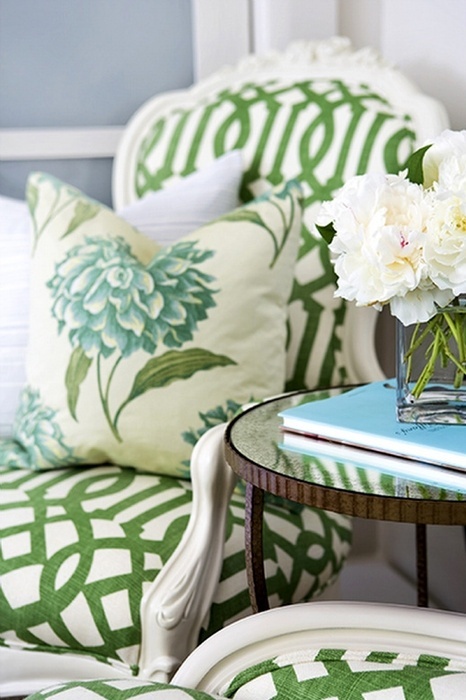 Your own DIY pillows will add pizazz to your staged home. That's house fluffing.